If you are spending most of your day on the road, then you would want to be well covered in case things could go bad. Right? Dash Cams are becoming almost essential for most drivers. With car insurance premiums soaring and so many fraudulent claims being made, would you risk not having a Dash Cam and getting hit with a huge sum of cash? Not only will a dash cam keep you covered with clear precise video evidence in case of an accident but it can have many other beneficial uses for those who work on the road. With most of our Dash Cams now coming with GPS you can manage your fleet, check locations, routes travelled including speed and any stops taken. This could help you reduce fuel costs and cut down on wasted time by calculating the shortest and quickest route. Not only keep an eye on what’s happening outside of your vehicle but also record the inside of your vehicle. If you’ve ever found yourself in a situation where a customer has done a runner, stole money or perhaps even soiled your vehicle after too much alcohol. With an infared interior camera you could have a clear image of the perpetrator (even at night). 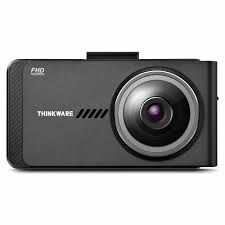 Did you know you can watch back lessons on your mobile or tablet instantly with selected Thinkware dash cams. This means you can review your lessons yourself and with your student to let them see how they are driving. You will be able to show them where they went wrong and what they were doing well all from your phone.